As featured on Escape Brooklyn - check out the article HERE! 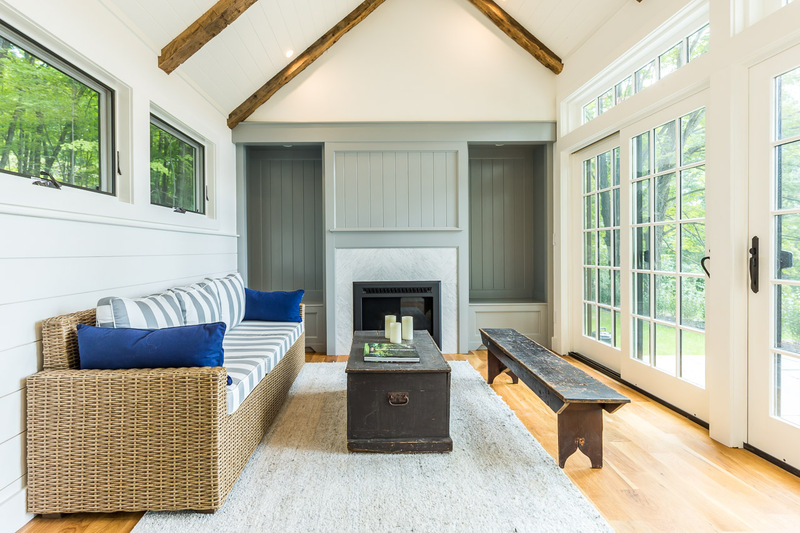 Fabulously reimagined 1825 Farmhouse, on Cooper Lake Road, one of the most desirable locations in Woodstock, NY, is a stunning celebration of modern design, timeless restoration, meticulous craftsmanship. You’ll love coming home to this spacious, turn-key home that sits on 5-acres surrounded by vast mountain views and woodlands, and just a short walk to Cooper Lake. 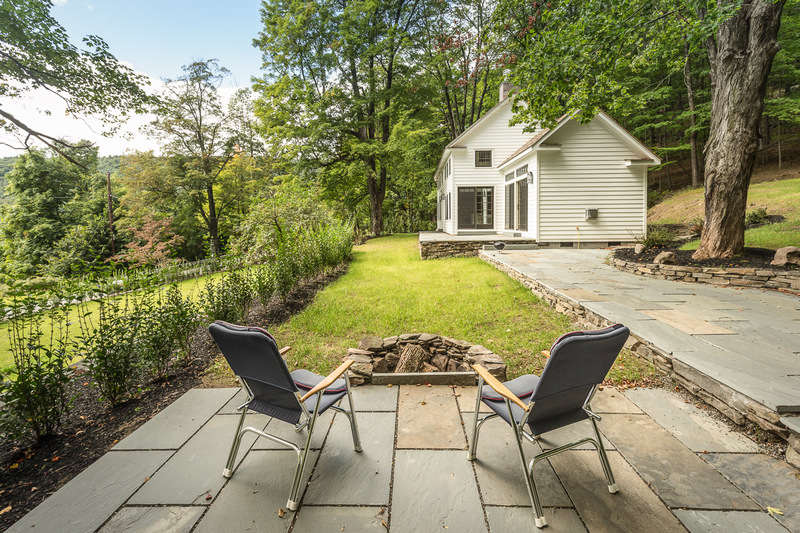 The contemporary design blends seamlessly with the natural surroundings - bluestone decks, beautifully landscaped gardens and stone walls – done with a Hudson Woods aesthetic! 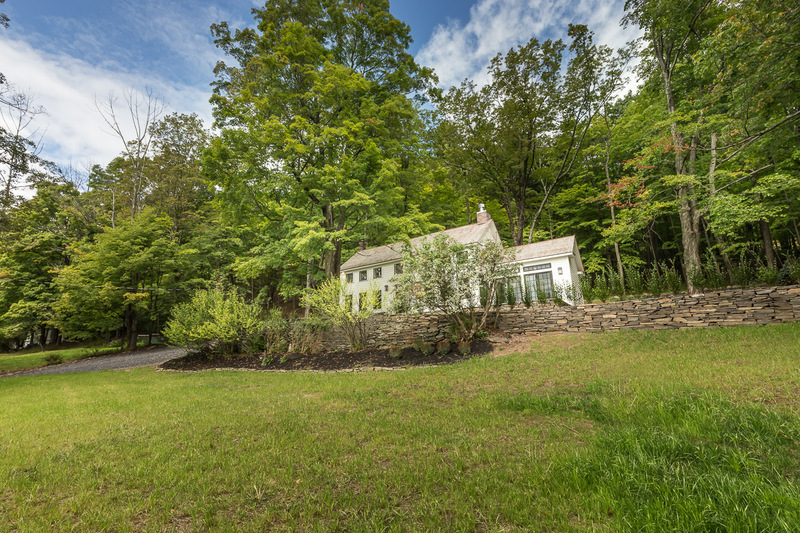 Best of all, the property includes land in front of the house on the other side of Cooper Lake Road ensuring sweeping mountain views FOREVER! 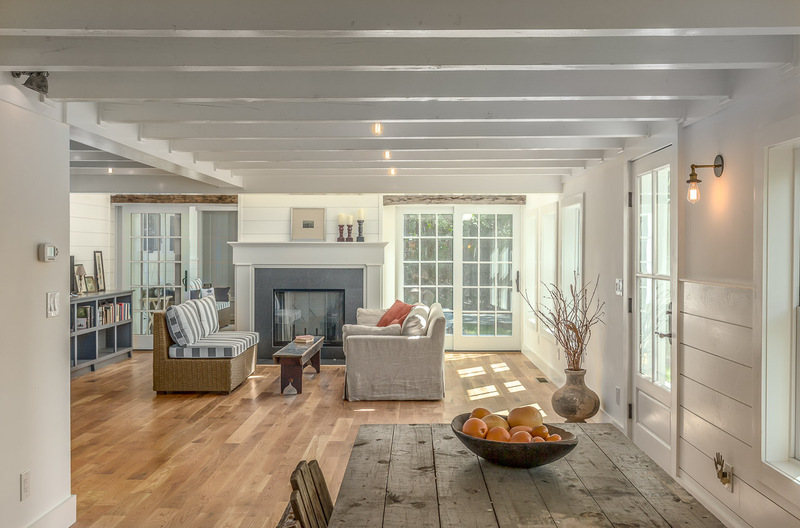 This classic eyebrow Colonial Farmhouse, light-filled, airy 3 bedroom, 1.5 bath has been lovingly renovated with the utmost attention to history and detail. Simple, elegant landscape design surrounding the house includes manicured lawns, lovely garden beds, and privacy plantings. 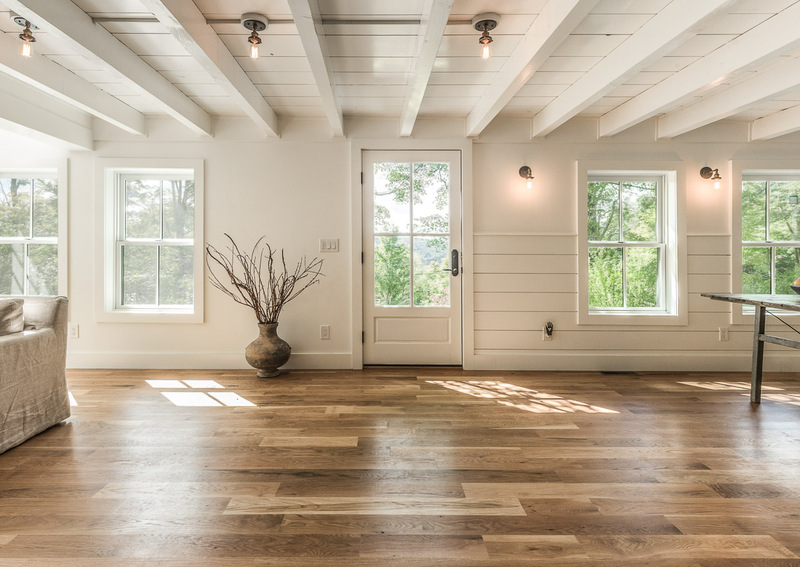 The first floor boasts an open floor plan with plenty of light and ample spaces for socializing - all designed to maximize the mountain views. The living room has double height ceiling and a wall of windows. The media closet is wired for entertainment with a home theater sound system to listen to the nightly news or your I-tunes playlist in the kitchen, dining room, or on the deck. The open gourmet kitchen designed with top of the line stainless appliances and fixtures includes a Viking range and dishwasher, KitchenAid refrigerator, Kohler large-scale porcelain farmhouse sink, high-end cabinet and drawers, Quartz counters and elegant, historically appropriate cabinetry and fixtures. 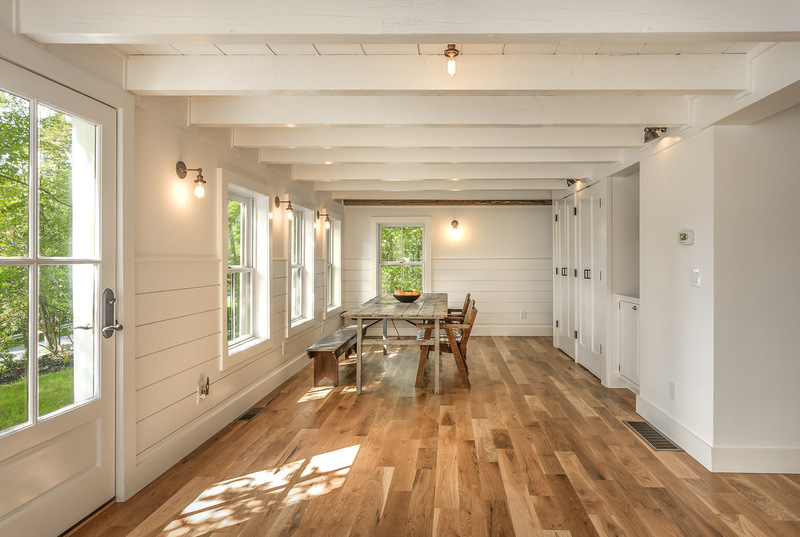 The lovely dining room can accommodate a large 10-12 foot harvest-style dining table for festive gatherings with friends and family and has built-in closets and plenty of storage space. And, for downtime, there are comfy nooks inside and out. Off the living room is a cozy family room with a propane fireplace and a striking wall of glass to showcase exquisite mountain views. A sliding glass door leads to a massive blue-stone patio, perfect for dining al fresco. Off the patio is a walkway that leads to a romantic fire pit for night-time star gazing. 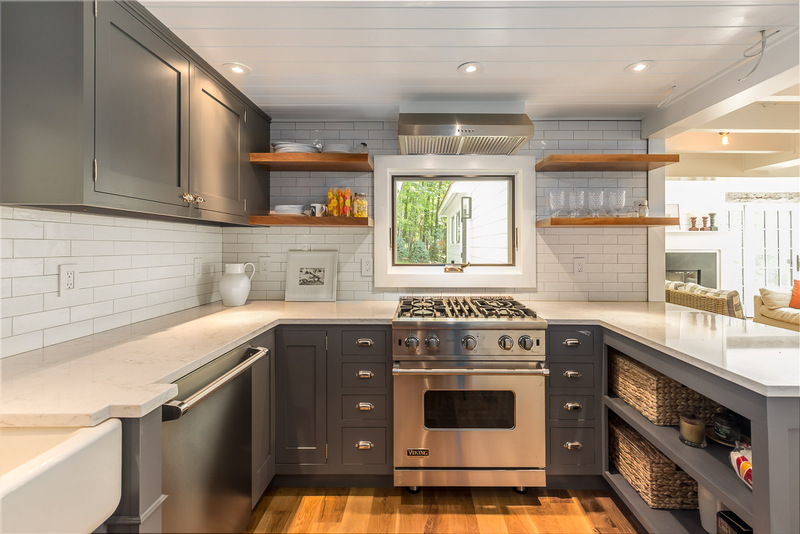 You’ll find high-quality, uniquely sourced materials and superb craftsmanship throughout. 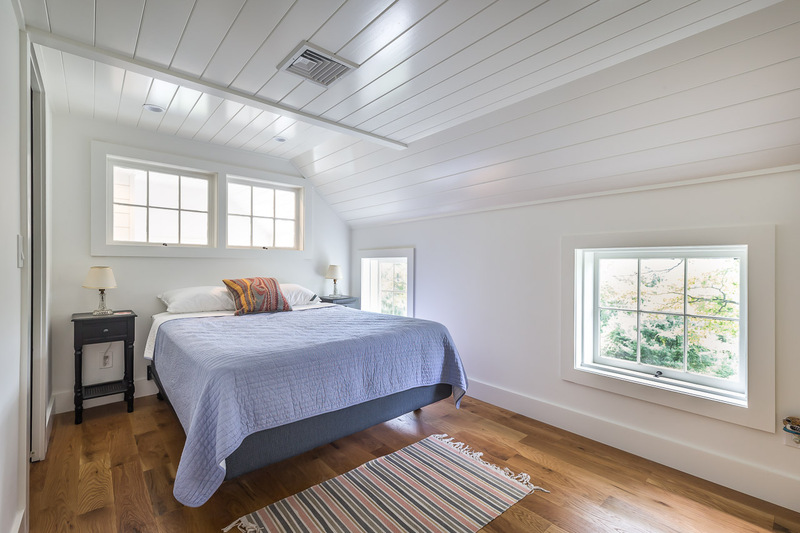 New cedar shake roof, 5-inch white oak floors, high-efficiency gas-powered heating and central AC system, newly installed electrical wiring/switches, plumbing, interior walls with spray foam insulation, and ceiling lights. 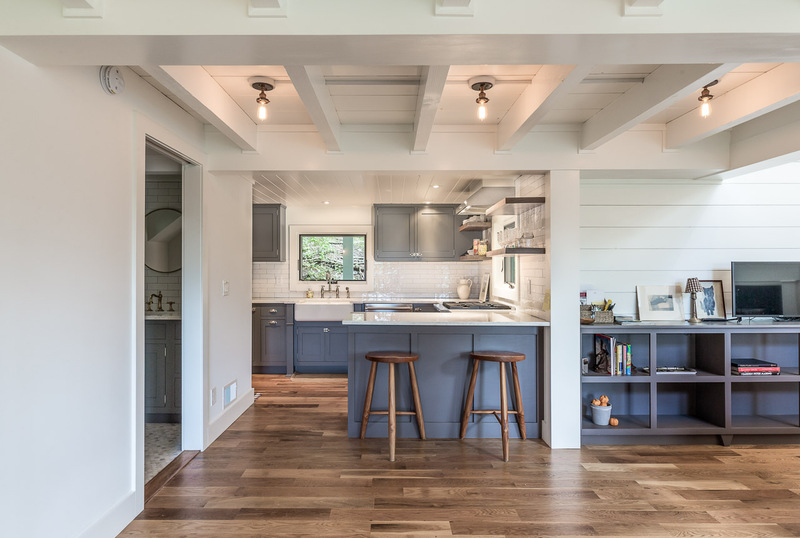 You’ll love the all-wood Jeldwen “2 over 2” historic preservation windows, painted bead-board ceilings, horizontal-planked accent walls throughout, and exterior lighting from Restoration Hardware. And, there are two new fireplaces (one gas, one wood burning) surrounded by beautiful stone and millwork. Upstairs the elegance continues with a wide stairwell leading to 3 quiet, nicely proportioned bedrooms with streamlined features and a lovely cottage feel. 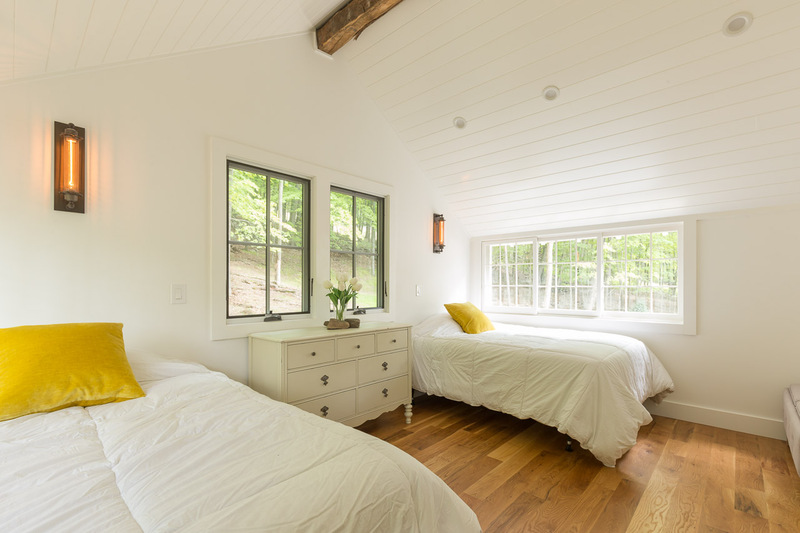 Both front bedrooms have classic eye-brow windows with four-season, spectacular mountain views. A sumptuous 2-person sauna in the huge central bathroom just adds to the experience - along with built-in cabinets, Restoration Hardware fixtures, and mirror. You’ll find a large-scale front loading Whirlpool washer and dryer neatly tucked away inside the hall closet. 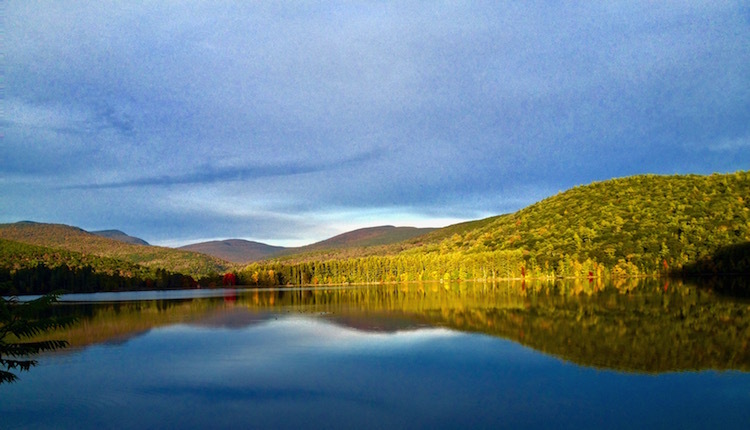 Cooper Lake is one of the most beautiful locations in Woodstock, fervently cherished by locals. The perfect place to enjoy a leisurely stroll with its awesome views and take in the beauty of this natural bird sanctuary. Give us a call for a private viewing. Properties like this go fast!